Three Grade II listed barn conversions set in a beautiful valley on the edge of Exmoor; just five minutes’ drive to the beach. All our cottages have been renovated to a high standard with English oak floors, granite worktops, fully equipped kitchens, luxury bathrooms with king size beds, WiFi, Smart TV’s and private outside spaces. Designed to make the most of the views, our cottages offer reverse open plan living with the living areas accessed from the rear at first floor level, with the bedrooms on the lower floors with access to the gardens. Nutcombe Cottage sleeps 4 with a king size room and twin room with a shared shower room and enclosed garden; perfect for dog owners. Cider House sleeps 4 in one king size en-suite and a single en-suite (which can be set up as a small twin) with a south facing sun terrace. Nutcombe Barn sleeps 6 in 2 king size en-suites and one twin en-suite. It also has a south facing sun terrace, BBQ area and is adjacent to our dog garden so again perfect for dog owners. We can also offer Nutcombe Barn and Cider House as one larger cottage sleeping up to 10 in 5 en-suite rooms; perfect for large family get-togethers like Christmas or New Year. 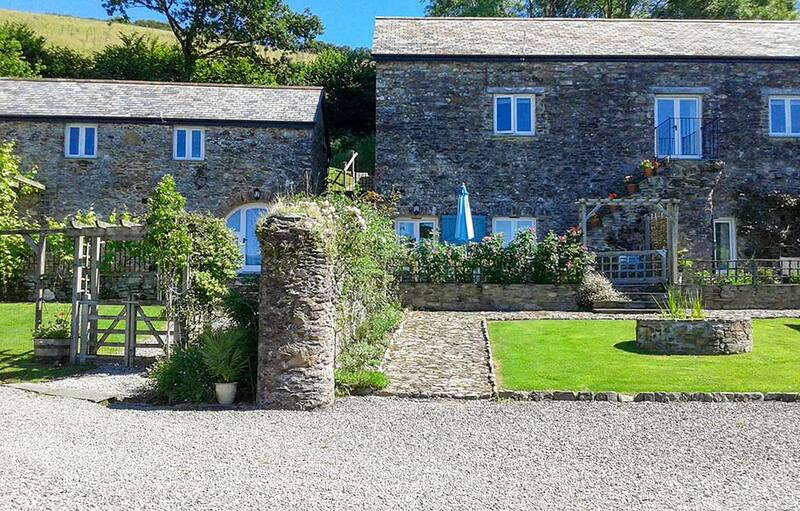 Nutcombe Cottages enjoys stunning views in a truly magical setting within North Devon's Area of Outstanding Natural Beauty, providing ideal accommodation for families, friends or couples. We happily welcome one large or two small well behaved dogs per cottage and provide them with a dedicated dog garden and a 3-acre field. Our centrally heated cottages, provide an all year round, escape for breath-taking walks on the SW coast path along this unspoilt stretch of coastline, including some of the finest beaches in the country and Exmoor.